I worked with Jessie from Mind Body Method to understand her target audience to define an SEO keyword strategy to guide her website copy. Her goal isn’t to be a trainer who helps people lose weight and just get a relaxing massage. Rather, her goal is to attract people who are interested in a personalised approach to their fitness, strength training, posture correction and injury management. 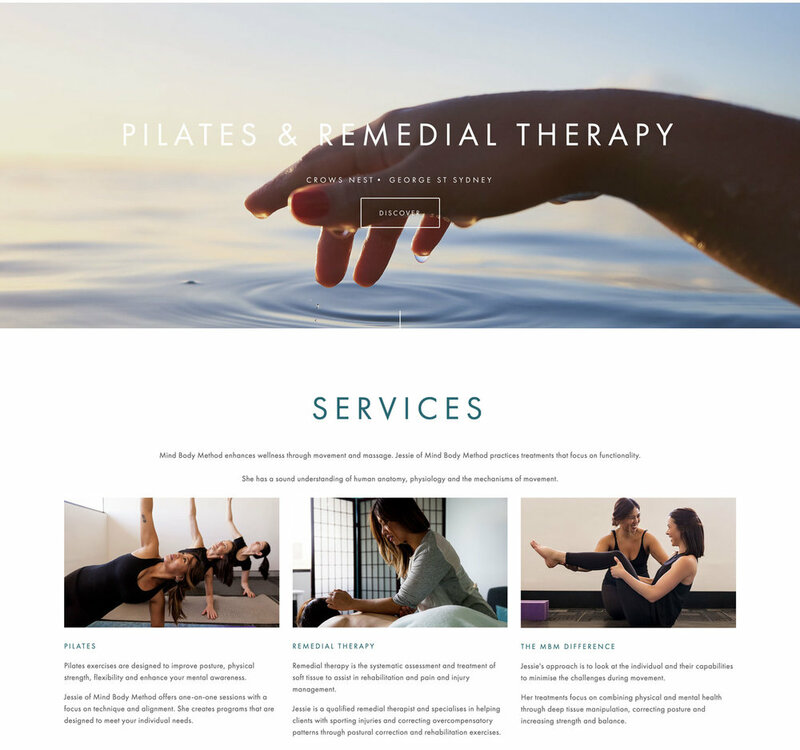 Her ethos is to create "wellness through movement and massage" - a message that is simple to understand and works well for SEO too. Like every, industry Pilates and remedial therapy are areas with technical terms which may not mean a lot to people new to the topic. We avoided any overt tech talk but did a provide an overview of what Pilates and remedial therapy are, plus their benefits. With the fitness industry beings a well-populated space, we added copy that highlights Jessie’s skills and approach to show her point of difference. The site flows nicely with plenty of calls to action and is easy to build upon. If you're interested in SEO copywriting for your small business, get in contact today.